The turning point could be considered the launching of the ‘Estepona – the garden of the Costa del Sol’ campaign. 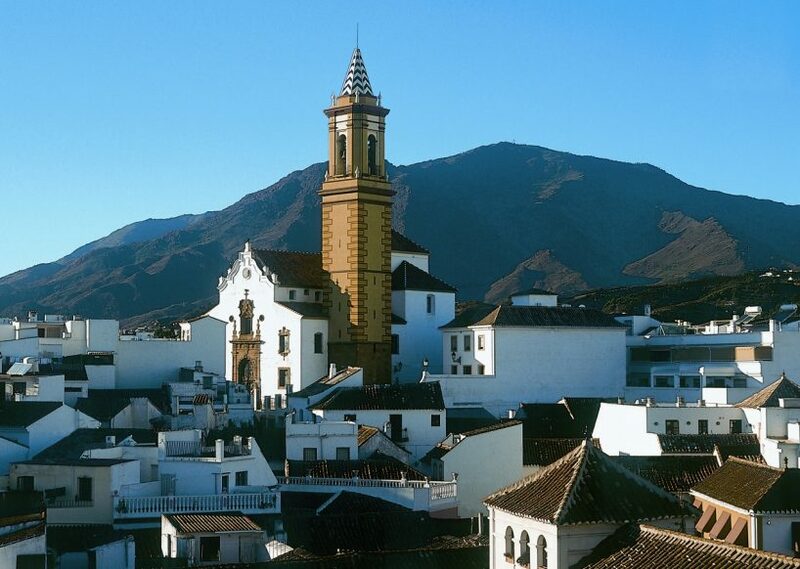 Entering the town, visitors’ senses are assaulted on all sides, with beautiful bright colours, billowy hibiscus, fragrant orange blossom and multi-coloured geraniums, not to mention the lush greenery that pervades the verges and roundabouts of this lovely traditional town. The pedestrianisation of the central street in the Casco Antiguo (the historic part of Estepona) has leant it the genteel air of a time gone by. 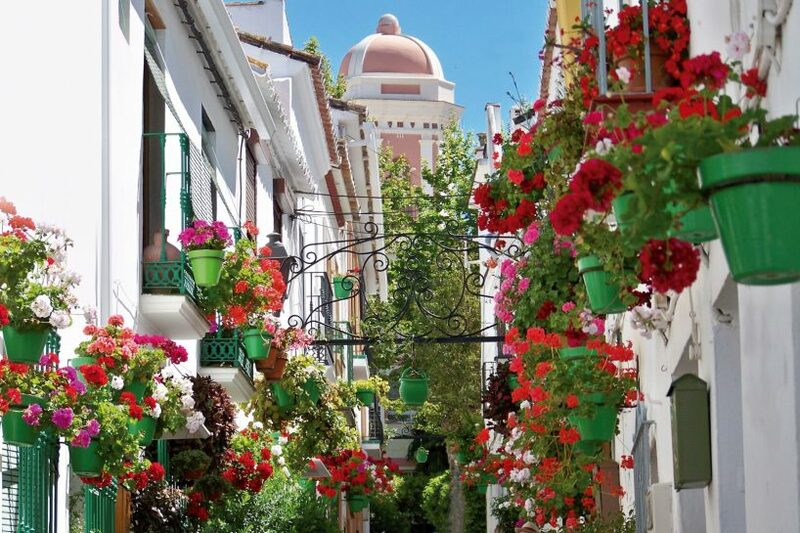 In an inspired proclamation of town planning, each street in the old town is garlanded with jauntily coloured plant pots and it is worth a leisurely stroll around Estepona’s Old Town to take in this delightful urban scenery. In 2015, the ambitious Orchidarium was opened. With over 1,300 species of orchid in a three-domed glass structure, it has been attracting visitors from far and wide, both botanically minded and not. For an open-air cultural attraction, how about the Route of the Murals – large-scale paintings by renowned artists that adorn walls throughout Estepona – or the Poetry Route, which features works by local and famous poets set on ceramic tiles around the town? But this is just a sample of what Estepona offers. The Estepona marina, for example, should not be missed, as the beaches here are wide, golden and amongst the best on the Costa del Sol, while the number of shops and cafés is growing apace. These are no more than a few travel tips, as we don’t want to leave you with nothing to discover – you’ll find that Estepona is a convenient place to explore for yourself. Developers and promotors have not been slow to notice the air of optimism and positive energy in the town and its surroundings, with several projects currently in construction, planning and development that take advantage of the fact that this attractive area still offers scope for development. If you’re looking for a holiday home or permanent residence in or near Estepona town, there is a great choice, from new build to resales, whether it may be two bedroom apartments on the New Golden Mile or luxury villas nearby this thriving town. Contact Diana Morales Properties | Knight Frank to find out more.